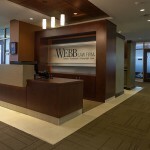 The WEBB Law Firm is an internationally recognized practice focused on intellectual property law. 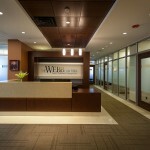 Located in Pittsburgh, this 50+ person law firm selected A. Martini & Co. for a renovation and fit-out of the new space. The new office consisted of three floors (2, 11 and 12), glass walls throughout, terrazzo flooring, and exquisite millwork. 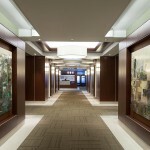 The conference rooms are visible from the lobby and offer views of the downtown area. 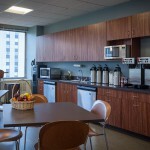 Construction was also completed in a fully occupied building with no interruption to the daily activities of other tenants.